Google Chrome is the most widely used web browser on the Internet. It is a cross-platform browser which can run on multiple Operating Systems like Windows, Linux, MacOS, Android and iOS. TIP: If you are looking for an alternative to Chrome, you may try out the Firefox browser. If you want to check which version of the browser is installed on your device, Go to Help –> About Google Chrome. The window should display the version of Chrome currently installed on your computer. 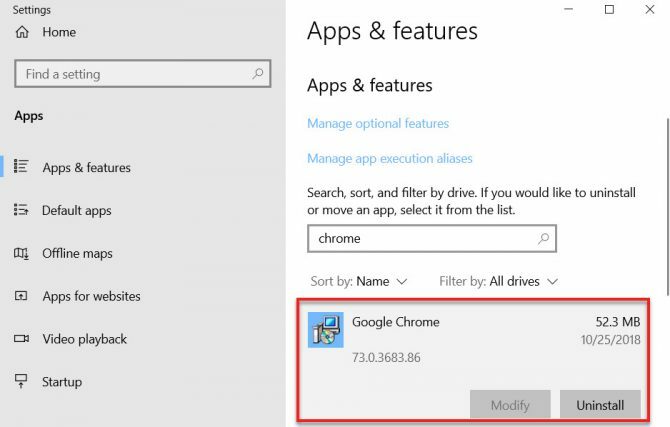 If you are using Windows 10, you can check the Chrome version using Apps and Features. Click on the Google Chrome listing and it should display the complete version number. Click on the vertical three dots at the top right of the window. This will open the Chrome menu. Under the menu, go to Help –> About Google Chrome. 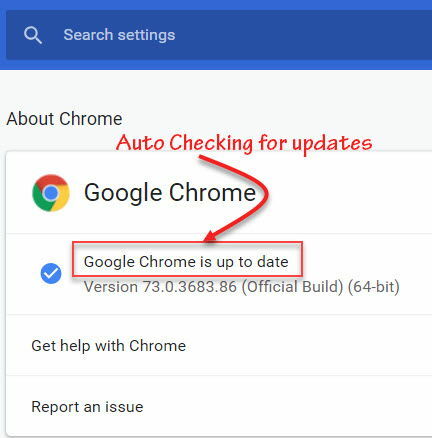 This will trigger Google Update and will check for new updates automatically. Alternatively, you can download the latest version of Google Chrome installer from below given links and run it. It will automatically update the installation to the latest version. Chrome can also be downloaded and installed automatically (silent installation). For this, you can use automatic installation services. My personal favorite is ninite.com. For automatic download and installation of Chrome, download the executable below and it will automatically do the job for you. It’s very useful for automatic unattended installations. Just download and run. It will do everything else automatically. For MacOS and Linux, you can use the wget command to download Chrome in command-line mode. If you are looking for other editions of Chrome, you can download beta, dev and canary editions from here. Google has removed installers of older versions of Chrome. So if you want to download a particularly older browser, you should check out other download sites which host a copy of the browser on their servers. 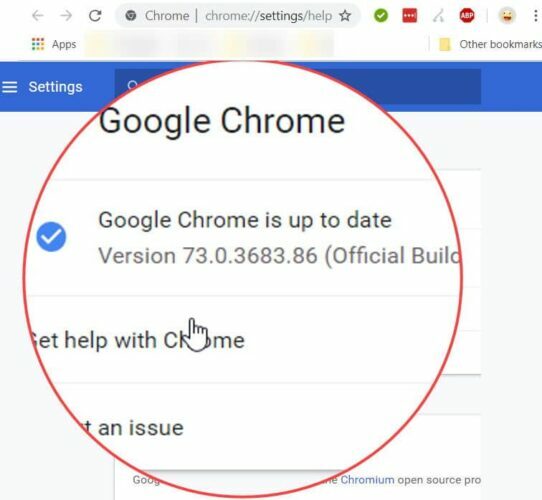 If you encounter any issue with the latest version of Chrome or if you have installed the beta version of Chrome, you may want to uninstall it completely from your system using the Chrome Removal tool. Sir, thanks for shearing chrome offline installer.